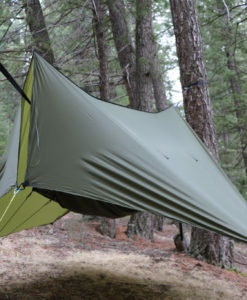 The GT is designed for folks who want to sleep under a tarp, but on the ground, It’s design is very similar to that of the Superfly in that it has doors on the ends which can be used to create enclosure on all 4 sides. 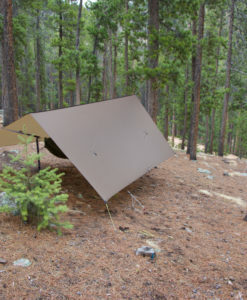 It could be described as a tarp that can be pitched to create a floorless pup-tent. When compared with the Superfly the GT has a shorter ridgeline and an extra “middle” ground tieoout on each side. Comfortably sleeps 3 people plus gear. 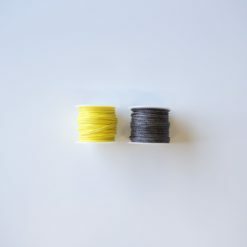 Just wanted to say what a great product you have. 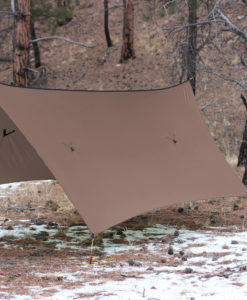 I ordered the tarp 5 days before going on a 10 day backpack elk hunt. I received it just in time to set it up once and attach paracord to it. Used it everyday through many rain storms and hail. It was awesome! 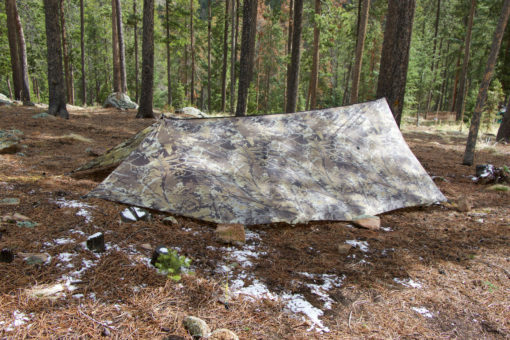 So much so that my other hunting buddy used his tarp for gear and slept in mine. Would recommend this to anyone wanting a great lightweight tent. 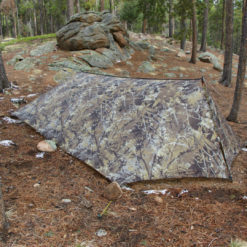 This thing is the ultimate ground shelter. 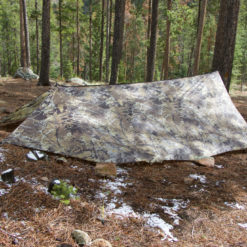 I combined it with the MSR Thru-Hiker Mesh House 2 and it’s like they were meant for each other. Super sturdy. 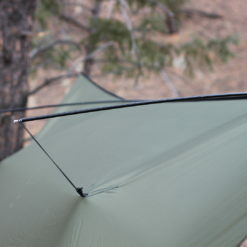 I’m sitting at about 2 lbs 12 oz with everything including stakes, dyneema for guys. Porch mode works great and I am even able to still sit in my chair under it. Friggin Awesome!!! Just gotta say I love this tarp. 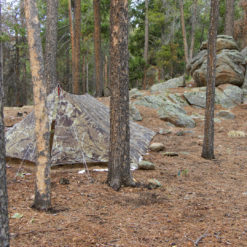 I took it out on a really windy 2 night backpacking trip with my bivy and slept like a baby. Really easy to set up and super spacious. easily fits two people plus gear.